During a surprise luncheon Nov. 8th, Volusia Take Stock in Children (TSIC) scholar Juliana Gouveia, a senior at University High School, received the news she has been selected as one of 12 statewide finalists in the annual Leaders for Life Fellowship. She was joined at the surprise luncheon by her family, TSIC mentor Jeanette Spence, fellow University High TSIC scholars & their mentors, school district leaders, and FUTURES Foundation/TSIC staff & Board Members. Sponsored by the Asofsky Family Foundation in partnership with the statewide Take Stock in Children (TSIC), the Leaders for Life (L4L) Fellowship enables the recipients to excel in a university environment by giving them the resources that empower them to develop their full potential as "leaders for life." The mission of L4L is to enable highly motivated TSIC scholars that have demonstrated strong leadership skills, moral character, and academic success, to excel in a university environment by providing them with the tools and resources necessary to empower them to develop to their fullest potential. The goal of L4L is to eliminate the financial burdens normally associated with a university education and allow the fellows to devote 100% of their attention to their studies and personal development. Each year, more than 100 of TSIC’s top students from across Florida apply for the L4L fellowship program. Following a highly competitive selection process, only 12 high school seniors are chosen as semifinalists for this prestigious honor. All 12 semifinalists receive a MacBook pro to bolster their achievements both in and out of the classroom. From the group of 12, six students will be selected as L4L fellowship recipients which will enable these well-rounded academics to obtain resources for postsecondary success. The final six recipients will be announced in January and celebrated at the Take Stock in Children Leadership Summit March 5-6, 2019 in Tallahassee, FL. The L4L fellowship provides each student with up to $10,000 annually for leadership training and development, housing, food, textbooks, supplies, transportation and other college-related expenses. In Volusia County, TSIC scholars are chosen in eighth grade through an application and selection process based upon financial need, academic achievement, good character and community involvement. Scholars that are selected for TSIC agree to meet weekly with their mentor, remain crime/gang/drug/alcohol free, and maintain a 3.0 grade point average. So long as the scholar meets these requirements, most Volusia TSIC scholars are awarded a four-year Florida Prepaid college tuition scholarship upon high school graduation. 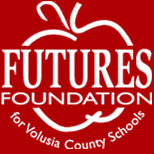 “FUTURES Foundation works directly with the Stanley G. Tate Florida Prepaid College Foundation S.T.A.R.S. (Scholarship Tuition For At-Risk Students) Program for dollar-for-dollar matching funds on the purchase of these scholarships which doubles our donors’ investment,” Ms. Shepard stated. Donations to purchase scholarships are accepted throughout the year and mentors are always being recruited for TSIC scholars. 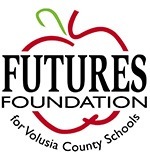 Anyone interested in assisting with scholarship purchases or becoming a volunteer mentor devoting 30 minutes each week on school campus may contact Ms. Shepard at sashepar@volusia.k12.fl.us or 386-255-6475, ext. 50724, for additional information.